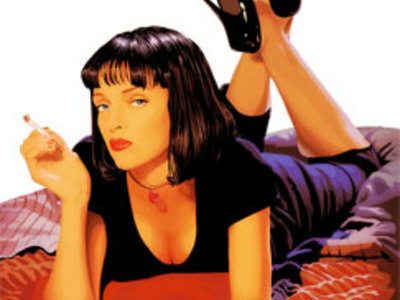 Pulp Fiction is an Academy Award-winning 1994 film directed by Quentin Tarantino, who co-wrote the screenplay with Roger Avary. The film has a fragmented storyline and is known for its eclectic dialogue, heavy arthouse and independent film influences, ironic and campy style, unorthodox camerawork, and numerous pop culture references. 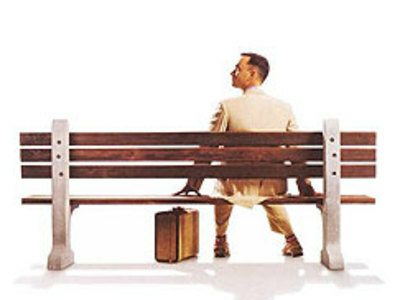 Forrest Gump is an Academy Award winning 1994 film based on a novel by Winston Groom, and the name of the title character of both. The film was a huge commercial success, earning USD$677 million worldwide during its theatrical run (the top grossing film in North America released that year).